On this home page, we'll introduce our club, shelter & breeding program and highlight important areas on our site. Happy dooking! Welcome to the Black Dragon Ferretry and Shelter. I pride myself in bringing you some of the most beautiful ferrets in the country, as well as providing shelter and boarding services. 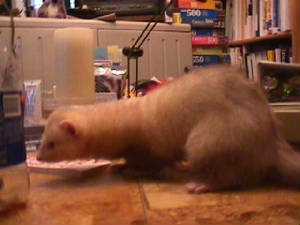 I'm nuts about ferrets, and I'm not ashamed to admit it! 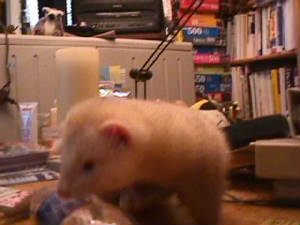 My breeding ferrets were hand selected by me, the director and shelter mom, Jen, from many outstanding pedigrees. 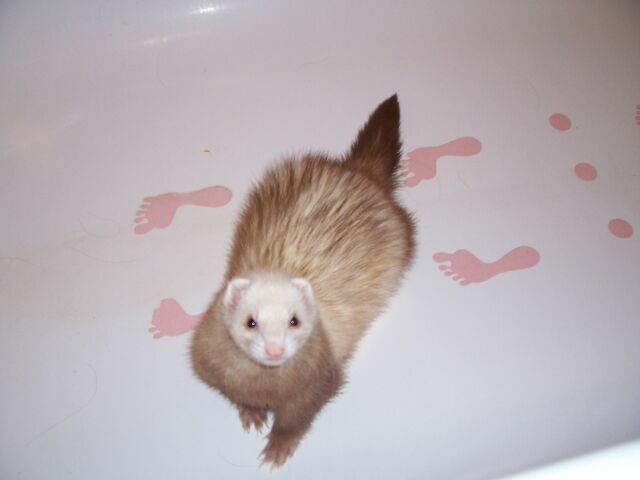 To learn more about my breedable ferrets and upcoming litters, click on the appropriate link in the above toolbar. Rescue work is also very important to me. No ferret is ever turned away from my shelter. See the shelter page for further details, or email me if you're interested in adoption or surrender. What can you find at The Black Dragon Shelter & Ferretry? A bundle of fuzzy love just like Zeus! owned by Black Dragon Ferrets. 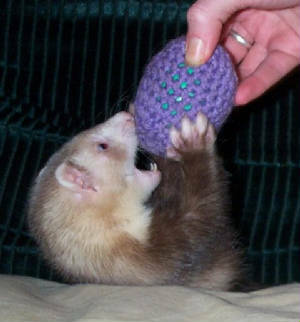 Please get in touch to learn more about available litters and adoptable ferrets.